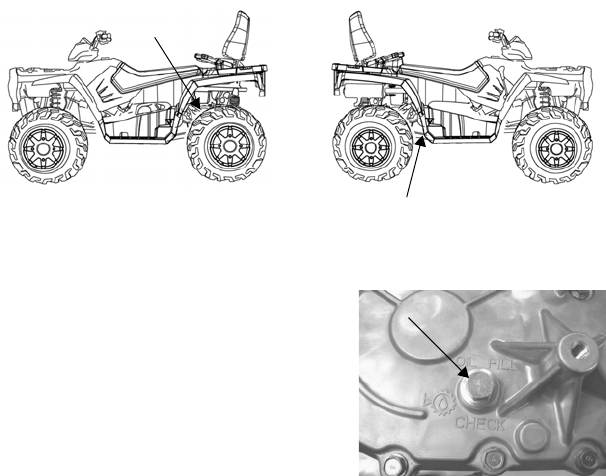 137 for the part numbers of Polaris products. side of the ATV, behind the wheel well. 2. Remove the fill plug. to 20-25 ft. lbs. (27-34 Nm).